If you want to know why you've been married three - or more -- times. Or why you just can't stop smoking. Or drinking. Or why you have myriad physical problems that doctors just can't seem to help you with, there's a book out today that's just for you. After hundreds of interviews and two years of writing, science journalist Donna Jackson Nakazawa's long-awaited book, Childhood Disrupted: How Your Biography Becomes Your Biology, and How You Can Heal, hits the bookstores (and e-bookstores) today. Besides being the first self-help book about ACEs -- adverse childhood experiences -- it's also the first book that explains the new unified science of human development in clear language for people who aren't scientists or medical professionals. 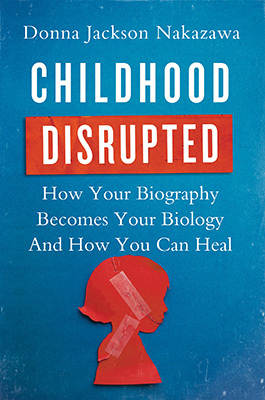 Childhood Disrupted goes into great detail about how the consequences of the toxic stress caused by that trauma damages kids' developing brains, as well as our bodies and genes. The good news is that the resilience research shows just our plastic our brains are, and how much our bodies can heal, given the chance. What makes Childhood Disrupted come to life are the 13 people whom Nakazawa followed for year through their histories of trauma and their journeys of healing. Through their stories, it's easy to see ourselves. Last week, Donna and I talked about how she came to this day. 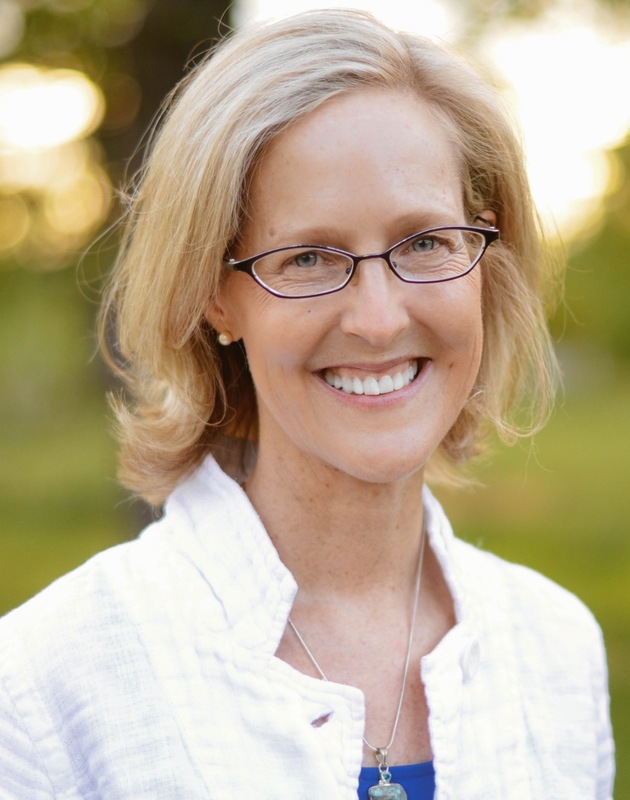 Jane Stevens: Why did you decide to write Childhood Disrupted? Donna Jackson Nakazawa: As a science journalist specializing in the intersection of neurobiology, immunology and the inner workings of the human heart, I had already spent 20 years writing about the human immune system and the human brain. I began thinking of the immune system like a barrel. If you put enough stress on the immune system, there can be that last drop of water that it can't hold, causing the barrel to spill over, and havoc ensues. What causes the immune system to be overwhelmed is different for every person - including infections, stress, toxins, a poor diet. When I came across the CDC's ACE Study (Adverse Childhood Experiences Study), it struck me like a lightning bolt. I realized that I'd been missing a huge piece of what can cause the human immune system to "spill over" into disease. This childhood adversity was something that was pre-loading the barrel. People who have experienced childhood adversity undergo an epigenetic shift in childhood, meaning that their stress-response genes are altered by those experiences, and that results in a high stress level for life. Stress promotes inflammation. When we understand that children who've faced adverse childhood experiences marinate in toxic and inflammatory chemicals, then it makes sense how those experiences are tied to depression, autoimmune disease, heart disease, and cancer during adulthood. All this just made complete sense to me, because when I was 12 years old, my father -- a writer, a publisher, a man who taught me how to sail, how to laugh and how to read Shakespeare -- went into the hospital for a very routine surgery and never came out. When he died, my childhood ended. It was as if someone had taken all the color out of the world. I do not remember a good day in my childhood after that and it was nobody's fault. But it made sense to me that my experience had changed me in every system and cell of my body. My body was set on high stress response when I was 12, and my body marinated in stress chemicals for a long time. So it was no wonder that as an adult, I've come down with, and been paralyzed twice, by the autoimmune disease Guillain-Barré Syndrome, I have a pacemaker, bone marrow issues, and lots of other immune system problems that put me in and out of hospitals for more than a decade. When I saw the research that showed that for every additional ACE score a woman had, the likelihood that she would be hospitalized with an autoimmune disease as an adult increased by 20 percent, I decided that I had to devote myself to helping people to better understand this research. Jane: How long did it take you to write the book? Donna: It took two years. I interviewed 40 scientists, and followed more than a dozen individuals for a year to get their full breadth of suffering and healing. I interviewed about 25 people to choose 13 to follow. It was very important to me that their stories reflect everyday stressors that people haven't considered to be traumatic -- such as constant humiliation from an emotionally abusive parent, growing up with a depressed parent, or an alcoholic parent. All these childhood stressors damage people's long-term health just as much as those who experienced situations that have long been thought of to be damaging, such as sexual or physical abuse. These children living with the common situations that haven't normally been considered a threat to health have never had a voice, and yet they experience the same likelihood of developing chronic disease as an adult as do those who live with experiences commonly regarded as abusive. I also wanted to be really sure that these were people who had found pathways toward healing that were unique to them -- pathways that made it possible for them to experience who it is they felt they really were, so that they could in their adult life not have their childhood trauma direct their relationships, how they react at work, or how they raise their kids. I wanted to know what was helping people. Jane: What impact do you want the book to have? Donna: One of things that I hope the book does is to steer people toward hope, and also toward action -- to take and use the ACE survey and resilience surveys, and to take this information to their doctors, their mental health care providers, and share it with their families, if they feel it's safe to do so. I want people to understand the science so that we no longer see behavior that is merely a long-term, biological reaction to early trauma as "just" a mental health issue. Or see adult physical disease as separate and unrelated to the biological changes an individual might have undergone in childhood. I want to change the conversation so that we combine physical and mental health into one entity. This will help people remove shame from their experiences as children, and remove the idea that they were responsible for their own childhoods. I want to show them the scientific certainty of this research as a way to bolster them to embrace self-care, including meditation, exercise, enough sleep, good nutrition, living in a safe environment, and having safe relationships. I also want to help women in particular to understand that ACEs affect the female body in unique ways, because of our female biology. Women who suffered ACEs face twice the likelihood of developing autoimmune disease and depression in adulthood than do men. Often these are the very diseases that physicians find so hard to diagnose and treat, and this science may help to counter the medical community's tendency to underserve women who suffer from difficult to define health problems such as fibromyalgia, chronic fatigue, irritable bowel syndrome, chronic back pain, and autoimmune disorders. Our current system of care allows a patient 10 minutes with a primary care physician who has been trained in a medical school program where ACEs were never mentioned, where they're taught that physicians are not supposed to talk with their patients about how their past experiences may be affecting their current health. Yet the science is very clear. When a child faces chronic and unpredictable stressors, their developing body and brain become routinely flooded with inflammatory stress chemicals that alter the expression of genes that control stress hormone output, triggering an overactive inflammatory stress response for life -- and the brakes that should turn that stress response off don't work. These epigenetic changes predispose an individual to lifelong inflammation and turn on genes associated with developing a range of adult diseases. As an adult, if we find ourselves overreacting to stressors in our life with a heightened stress response - an argument with our spouse, a bill we weren't expecting, a car that swerves in front of us on the highway - our inflammatory response stays on high, and this leads to physical disease, neuroinflammation, and mental health disorders. Jane: What should physicians do differently? Donna: I'm not trying to throw physicians under the bus. I'm trying to throw the system under the bus. We're going to have to create system change from the patient up, from health care corporations down, and reaching all the way back to medical school. We need a system where physicians are trained to see their patients as the sum of their experiences and are rewarded by doing so. As Dr. Jeffrey Brenner says, physicians should consider a patient's ACEs as a vital sign just like their blood pressure or heart rate. Physicians need to understand how to treat the processes in the brain that keep people with high ACE scores locked in a cycle of over-responding to stressors,, and therefore locked in a cycle of inflammation and suffering. We need a medical system in which physicians offer not just a drug, but a recovery plan.